Today I am participating in the Lily of the Valley Release tour blitz for Faith Blum. There are free books and a giveaway! Today is the last day to get Be Thou My Vision (Hymns of the West #2) free! Here is the link. Faith has a Goodreads giveaway going on through today! Be sure to check it out and enter to win one of two signed paperback copies of Lily of the Valley. Click on : Giveaway! In addition to the Goodreads giveaway, Faith is also giving away all four of her paperback novels to one lucky winner! You can find Faith at the blogs below for the Lily of the Valley release Blitz. Drop by and say hello. Gloria’s short story Alicia, was just published. 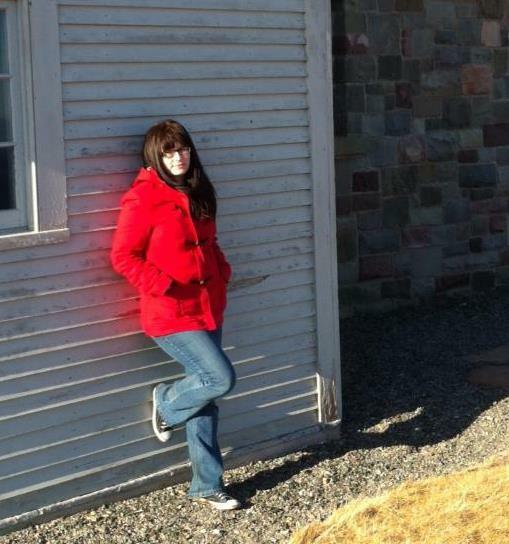 She was kind enough to write a guest post on using real locations in fiction. A quick note, I just read it and loved it! Before I start, many thanks to Caren for letting me post on her blog today. I appreciate the support and help! My latest short story release, ALICIA, was a contest entry. The contest parameters were fairly simple. Write a story based on an image. The image had a female walking away from a male in a field with a backdrop of trees. The setting of the picture reminded me of a section in my local state park. The spot is a particular favorite of mine. Lately, I’ve been into using, in part or in whole, real places, be they displaced into a fictional town or in their true setting, so I decided to use this spot in my tale. 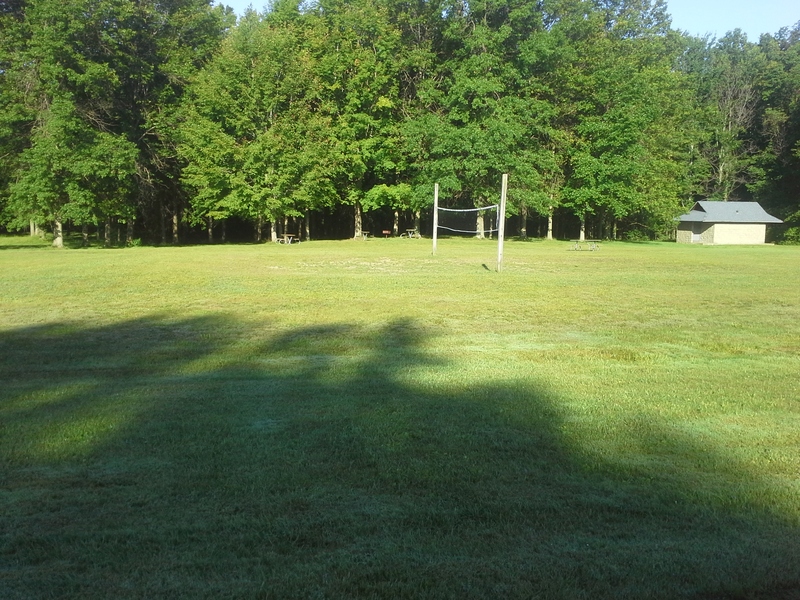 At this park, aside from the big field and woods, there’s a volleyball court, picnic tables, and a parking lot. These bits made it into the story, as did my kids and I. Sure, these weren’t in the image, but they could have existed off to the left or right of them. The details I used were the ones I felt served the story. These details, like me and my kids, gave the setting life beyond the main characters. 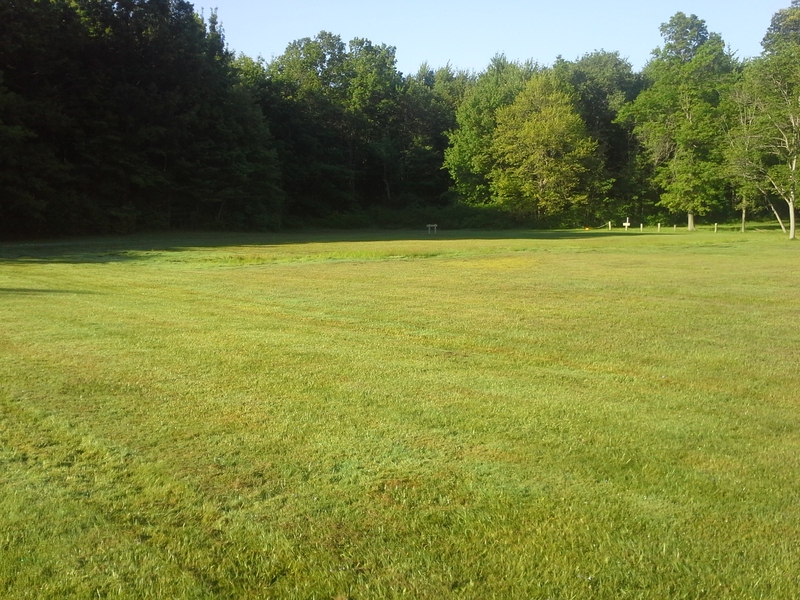 The freshly cut grass and the hot day set it in time, summer. In part, the details I chose made the setting feel like it could be anywhere. Well, not the dessert of the American southwest or the swamps of the south, but it could be lots of other places: Connecticut, Oregon, Tennessee, Montana, New Jersey, and so on. This park also has a path that leads into the woods and leads to another picnicking area under pavilion, a chunk of meadow they don’t mow (for the wildlife), a building with bathrooms, and more. Again, these bits could have existed just off of the side of the inspirational image. While the omitted details are real, those details don’t serve my story in anyway. It was clutter. Fiction allows me to edit what isn’t necessary from a place, like remodeling a kitchen. Remember earlier when I said I’ve been into using real places in my fiction? There’s a reason for that. For me, that gives the best results. If you’re wondering, I didn’t win the contest. However, Solstice Publishing liked my story so much they decided to release it. So, if a story with a touch of fantasy and romance is your thing, please pick up ALICIA (http://amzn.com/B01417P1GA). Today I am helping Kate Sparkes with a cover release for her book Bound. Rowan Greenwood has everything she’s supposed to want from life— a good family, a bright future, and a proposal from a handsome and wealthy magic hunter. She knows she should be content with what she has. If only she could banish the idea that there’s more to life than marriage and children, or let go of the fascination with magic she’s been forced to suppress since childhood. Now Rowan might just get everything she ever dreamed of— that is, if the one thing she’s always wanted doesn’t kill her, first. Kate Sparkes was born in Hamilton, Ontario, but now resides in Newfoundland, where she tries not to talk too much about the dragons she sees in the fog. She lives with a Mountie, two kids who take turns playing Jeckyll and Hyde, three cats with more personality than most people she meets, and the saddest-looking dog on the planet. 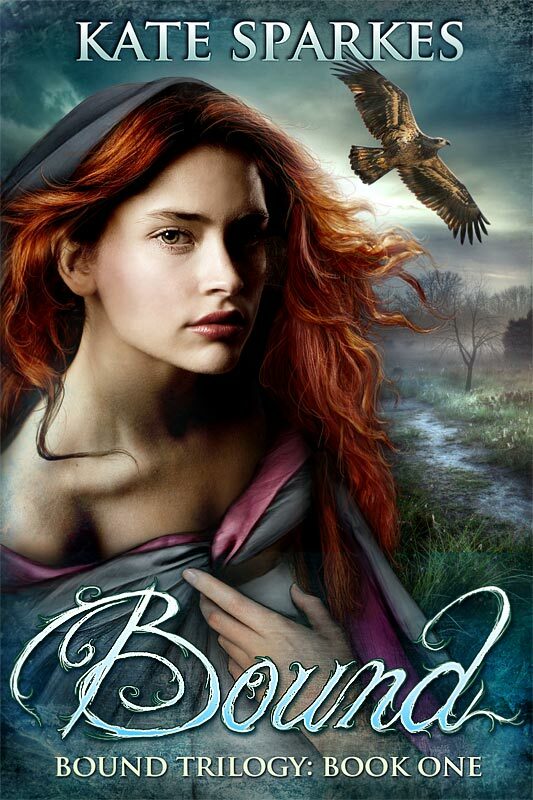 Her first novel, Bound, will be released in June 2014, assuming the dragons don’t eat her, first. Run on over and visit Kate and congratulate her on her new release.